In Japan, it is customary that on Valentine’s Day only women give gifts (usually chocolate) to men, either as an expression of affection, courtesy or social obligation. On the other hand, at the White Day (March 14th), the men who received chocolates at Valentine’s Day thank them for offering a gift to the woman to return the favor. Traditionally, the most popular gifts for this day are cookies, jewelry, white chocolate, or other objects of the same color. The White Day was held for the first time in 1978 in Japan. It was started by the National Confectionery Industries Association as a “day of response” for Valentine’s Day, under the argument that men should return them to women who gave them chocolate and other gifts. In 1977, a candy company in Fukuoka, Ishimuramanseido, marketed marshmallows for men on March 14, calling it Marshmallow Day (マ シ ュ マ ロ デ ー Mashumaro Dē). Soon, the candy companies began marketing white chocolate. 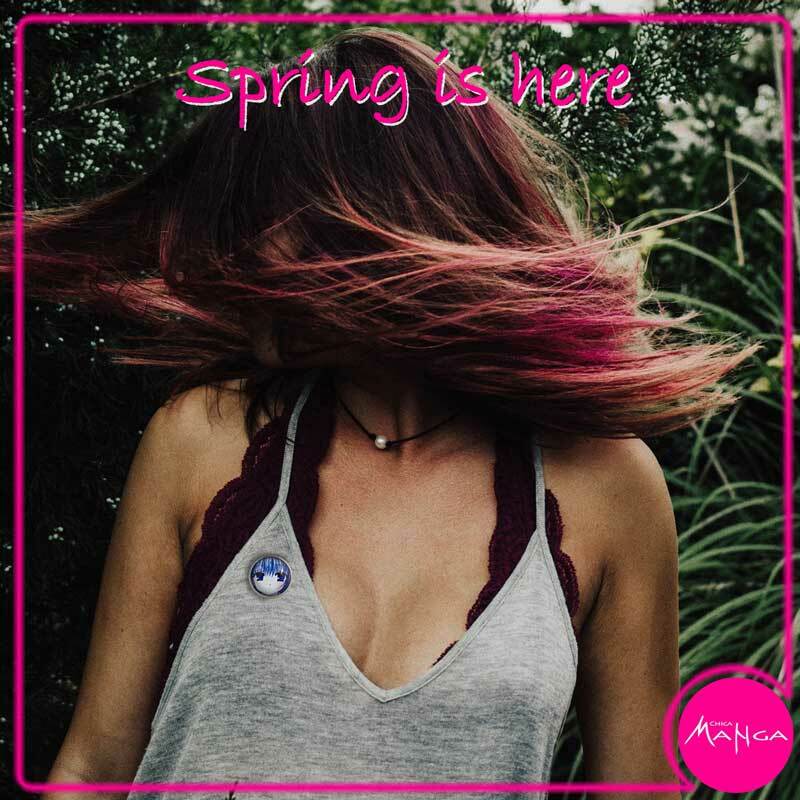 Currently, men give away black and white chocolate, as well as other edible and inedible gifts, such as jewelry or objects of sentimental value. Flowers and other gifts are also given on this day. Eventually, this practice spread to the neighboring countries of Japan: South Korea, China, Taiwan and Vietnam. 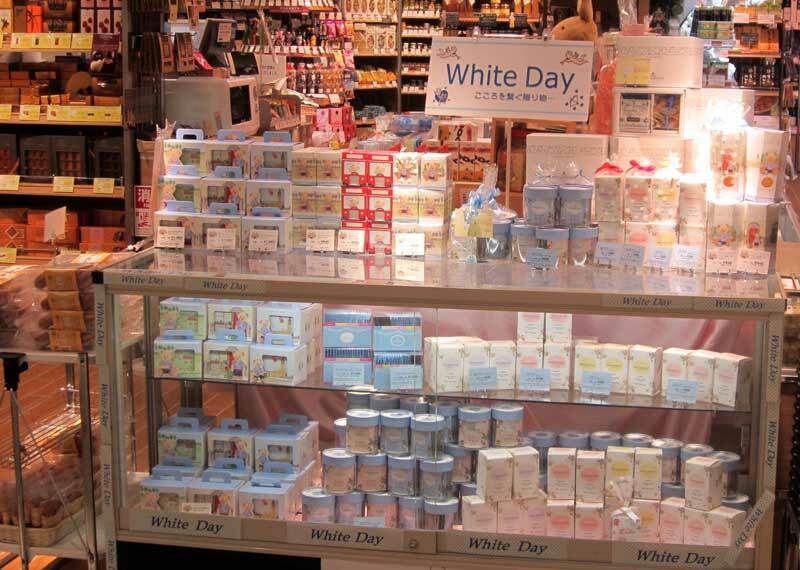 In those cultures, White Day is celebrated in a similar way for the most part. Men are expected to return Valentine’s gifts with objects of greater value than the ones they received. And of course: the white color is the hero! If the gift that is received is of the same value as the one that was given for Valentine’s Day it is common to think that something does not work in the relationship. It is also to be expected that the most expensive and personal gifts are made only to the couple or person you like. 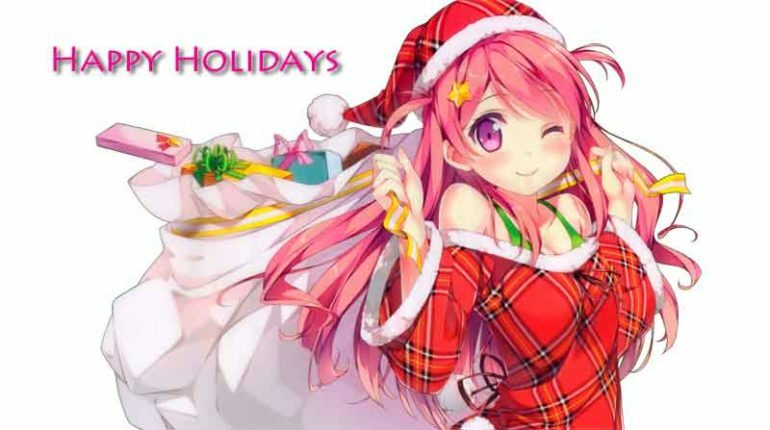 To your friends or co-workers the most usual thing is to give them sweets or chocolate. The term sanbai gaeshi (三倍 返 し, return triple), tends to be used to represent the rule in which men must return a gift that is two or three times the value of the one they received on Valentine’s Day. If you are a boy and you received gifts on Valentine’s Day, then you know what you have to do: give gifts back to all the girls from whom you received chocolate. You can give anything, but you have to make sure it’s nicer, better, or more expensive than the chocolates you received for Valentine’s Day. Is that time of the year when all our favorite TV series are fully devoted to showing us the spirit of Christmas as its . 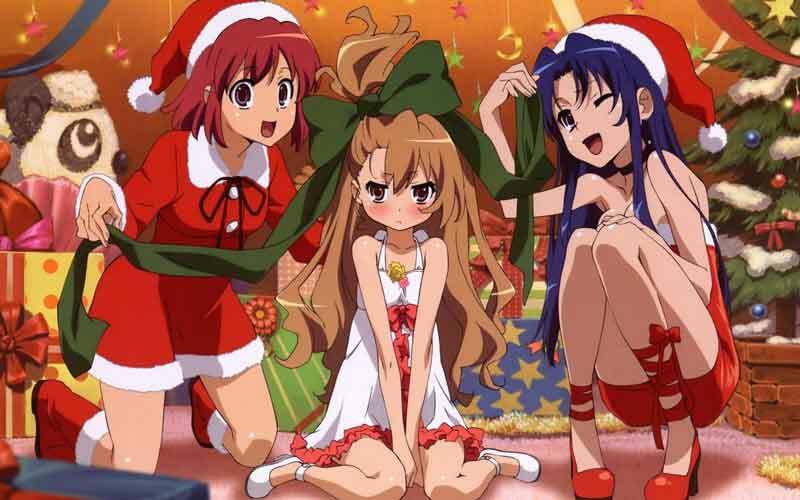 As at Chica Manga we love Anime, we present Christmas Specials of our loved characters! Everything starts a few days before Christmas. One day, after an incident of bus hijacking, Yuta finds himself expelled from his own body and turned into a spirit. 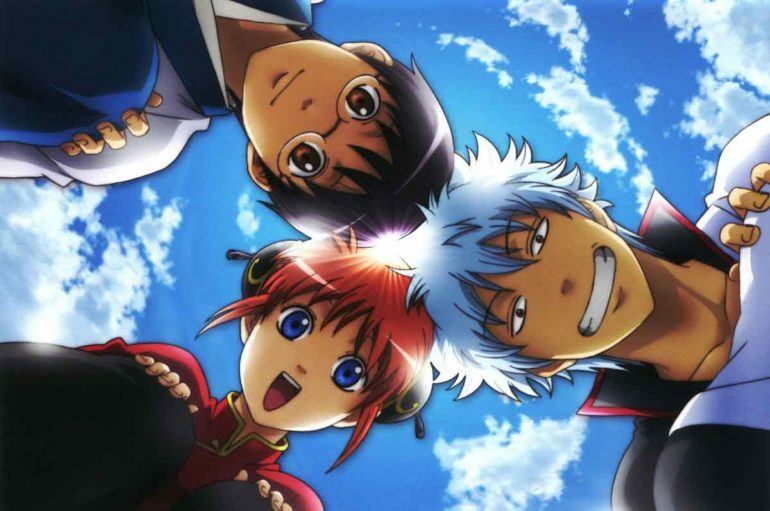 Guided by the cat spirit Chiranosuke, Yuta must learn to master his spiritual powers in order to protect his friends. There has been a rumor that when Christmas arrives that is your chance to confess your feelings to your loved one. This is a fun holiday tale that anyone can enjoy even if it is with friends and family. 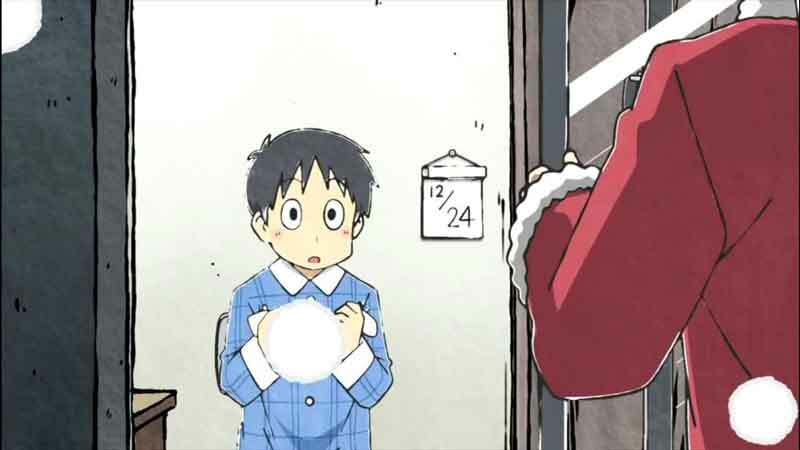 In this very brief Helvetica Standard segment (random comical short that is self-contained, and generally outside the main story of Nichijou), Santa visits a young boy and offers him a delightful present… Delicious melon bread. Unfortunately, the boy is less than impressed. A dramatic story in less than 3 minutes. 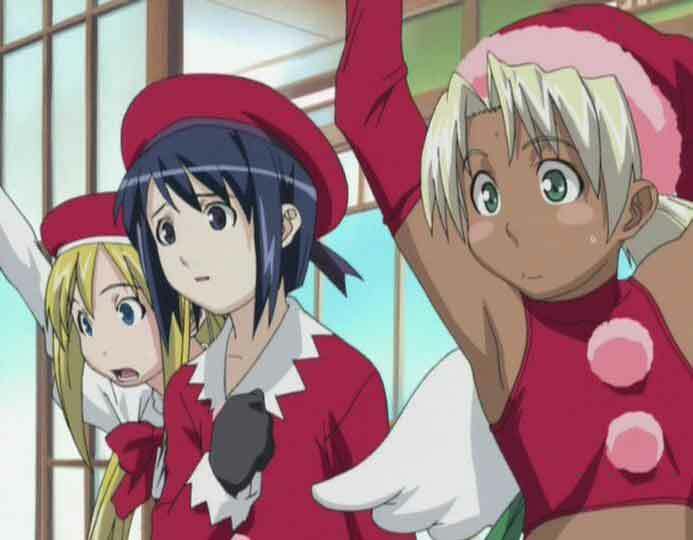 It’s almost Christmas, Tomo and Kagura get into an argument at class concerning Chiyo’s belief in Santa Claus, coming up with explanations regarding how gifts are given around the world in one night. 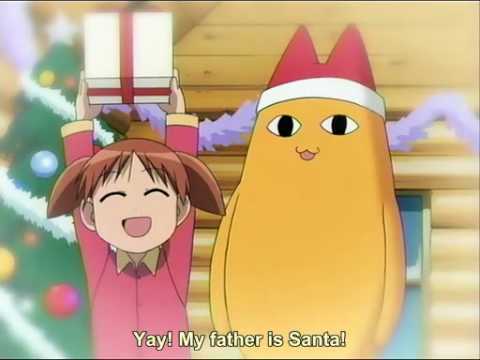 When Chiyo settles the matter by saying that Santa Claus is her father! A Christmas party with all the ups and downs you can imagine! At the World Academy W, Germany decides that the month’s newsletter will be on how other countries celebrate Christmas. Japan and Italy agree to the idea, as it sounds interesting. 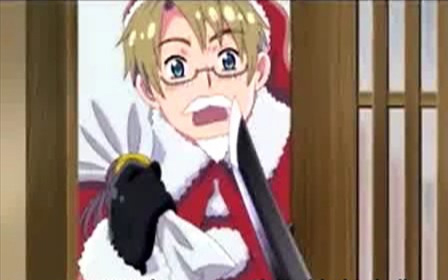 Germany asks Italy how he celebrates his Christmas. 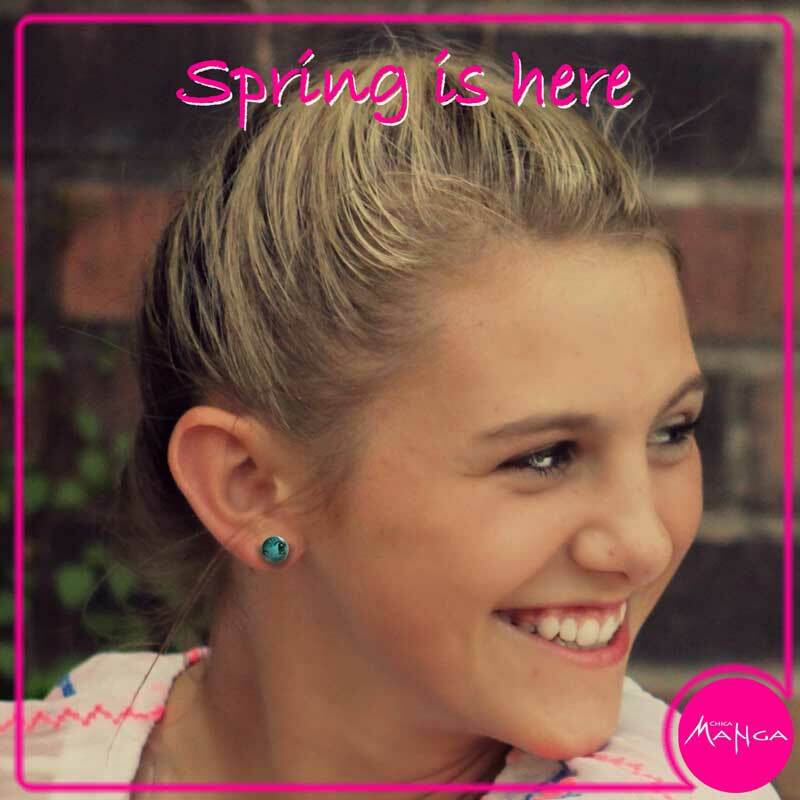 There are many topics that girls can talk about: exams, studies, Santa and even cakes. 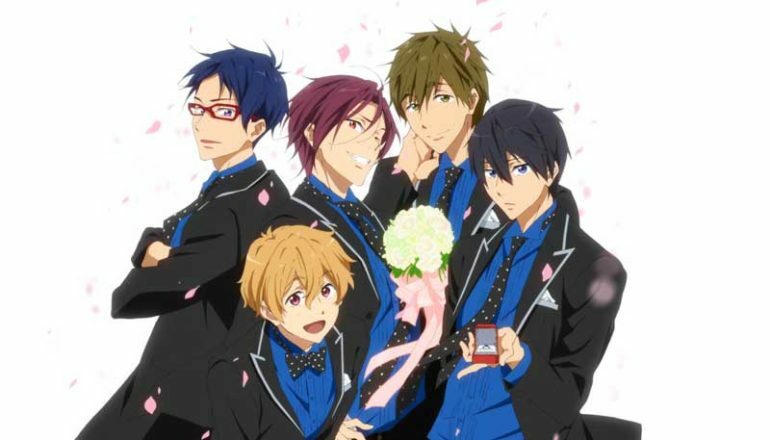 Here is a anime that you can get a cuteness overload. 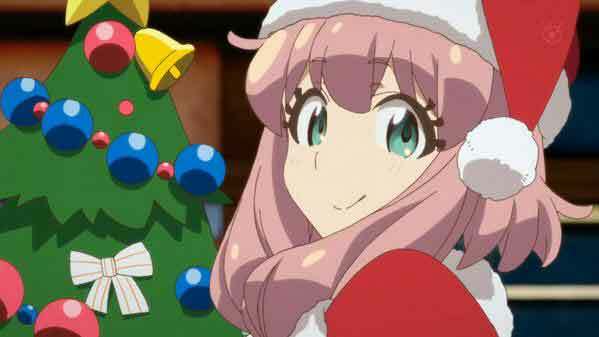 This anime is the perfect choice to get your holiday cheer on without the heavy emotions that could be coming your way. 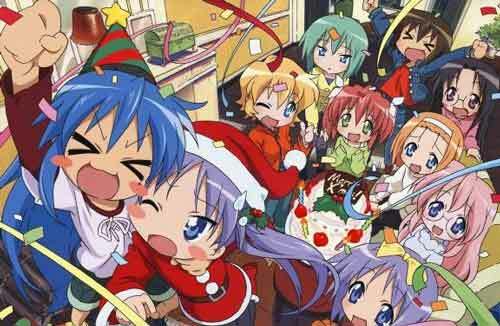 These are just some of our Anime Christmas specials. What are your favorites? Which ones would you add to this list? 1. 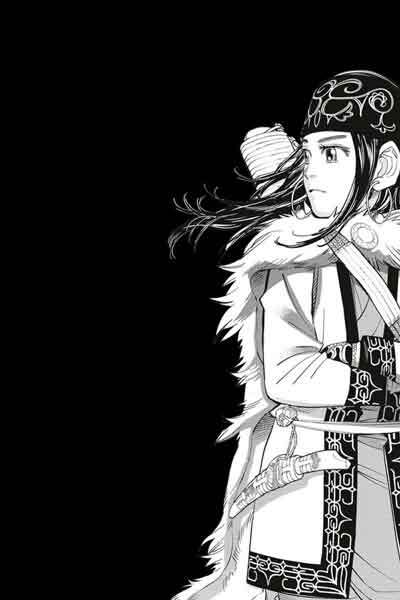 Asirpa, from Golden Kamuy. An ethnic manga with a brave main character. Golden Kamuy is the story of Saichi Sugimoto, a veteran of the Russo-Japanese War of 1904, a survivor of Hill 203 who has become a miner in Hokaido to pay an expensive eye operation for the widow of his comrade killed in the war, Toraji . There he listens to the story of a treasure gathered by the members of the Ainu ethnic group to defend themselves from the Japanese colonization of the island, collected by a criminal group. After being saved by an Ainu girl, named Asirpa, he decides to start the treasure hunt with her, whose map is divided into 24 parts, each one tattooed on the torso of 24 criminals who escaped from a prison, but in the road realizes that other sides know the history of the treasure, among them the members of the seventh division of the Japanese Imperial Army and a group of gangsters led by Hijikata Toshizō, a survivor of the Shinsengumi, who rebelled against the Meiji Restoration. It´s a Japanese animation film created by Hayao Miyazaki in 1984, and inspired by the homonymous graphic novel created by Miyazaki himself in 1982. It was created a year before the founding of Studio Ghibli and made by the studio Topcraft. However, it is considered Miyazaki’s first film within Studio Ghibli because much of the production team, as well as the involvement of Miyazaki, Isao Takahata and Toshio Suzuki, continues after the creation of the studio. It is also considered from the Ghibli catalog. 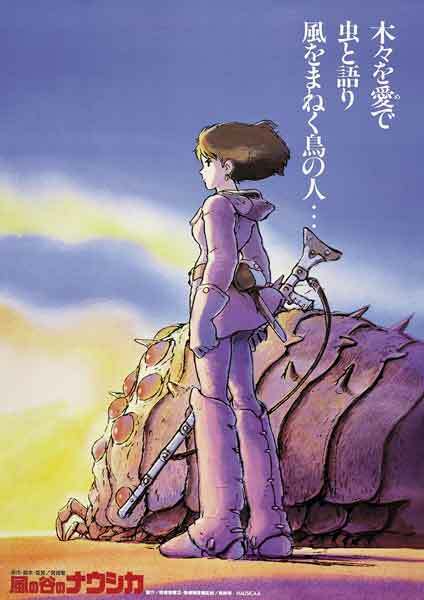 The film tells the story of Nausicaä, princess of the Valley of the Wind, who will be faced with the army of the kingdom of Tormekia, captained by Lady Kushana, who tries to take control of a “God of War” as a weapon to eradicate the Forest Contaminated already the giant insects that live in it, like the Ohms. Nausicaä will try by all means to prevent this massacre. Nausicaä is the princess of the Valley of the Wind and the only daughter of King Jihl, a great pilot and warrior, she is also compassionate and caring for all her life. Princess Nausicaä tries to find a sense of the contaminated forest and refuses to see insects as enemies, among them the gigantic trilobite creatures called Ohm. 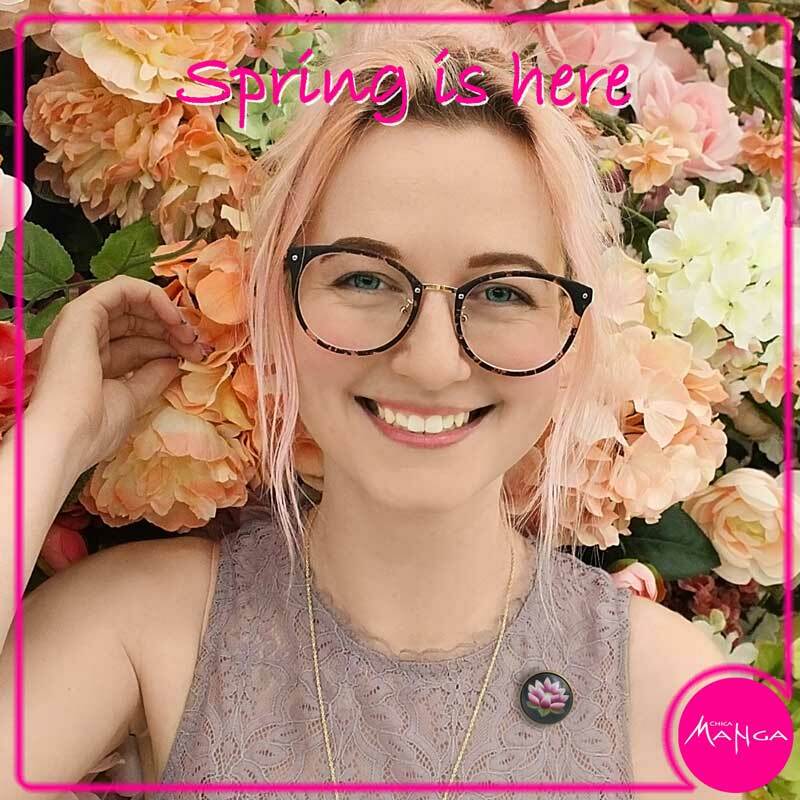 Nausicaä as a defender of the nature, has a strong connection with the insects of the contaminated forest, especially with the Ohms. She will have to defend the pacifist character of his kingdom against the kingdoms of Tormekia and Pejite. A strong and independent character. This is the story of Candy, who in 1898, is abandoned as a baby in the snow with a doll that has the name of Candy, hence the name given to her: Candice White, called by all Candy; the same night, they find another baby Annie. Both grow near Lake Michigan, in Indiana, in a home for orphaned children run by Miss Pony and Sister Mary. Having been found on a snowy night, Sister Maria decides to give Candy the surname White. Candy is raised along with the other children of the orphanage, as a very hardworking, cheerful and generous girl. 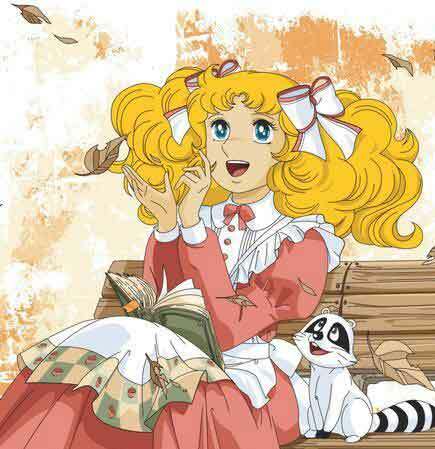 Candy is optimistic, friendly, persevering, loyal to herself and her friends, she is also very strong emotionally, sometimes she can become very “Independent” something that many people resent for considering it annoying or because it was not good in the era in which the series is set. Candy believes in herself, a reason why her friends admire and adore her and is willing to do anything for them. 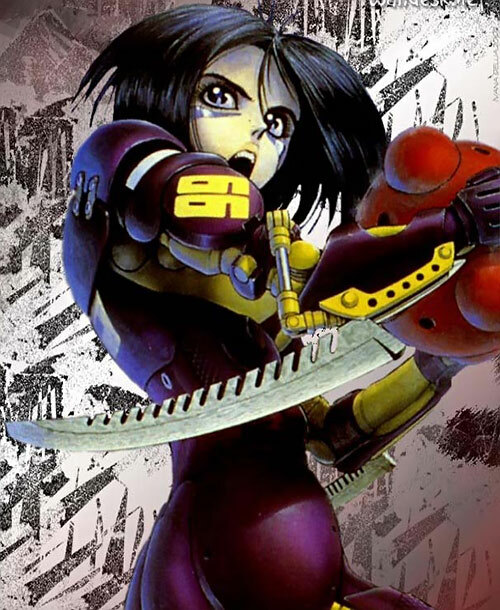 The story is about Gally (Alita in the western version), an amnesiac cyborg that is found by Doctor Daisuke Ido among the scrap thrown from Salem, the utopian floating city (renamed in the West as Tiphares). Ido rebuilds Gally and adopts her as his daughter, but as time goes on, it becomes clear that Gally hides combat abilities as large as they are mysterious. Given this and as a way to discover your own past, she will be tested against situations that stimulate and bring out these skills, so she can get answers about her origin. With this objective, she will face different enemies fulfilling roles such as warrior hunter, Motorball runner, security agent and many others that will put her life at risk. Later, her story will take her to face even greater challenges and dangerous creatures off the planet. 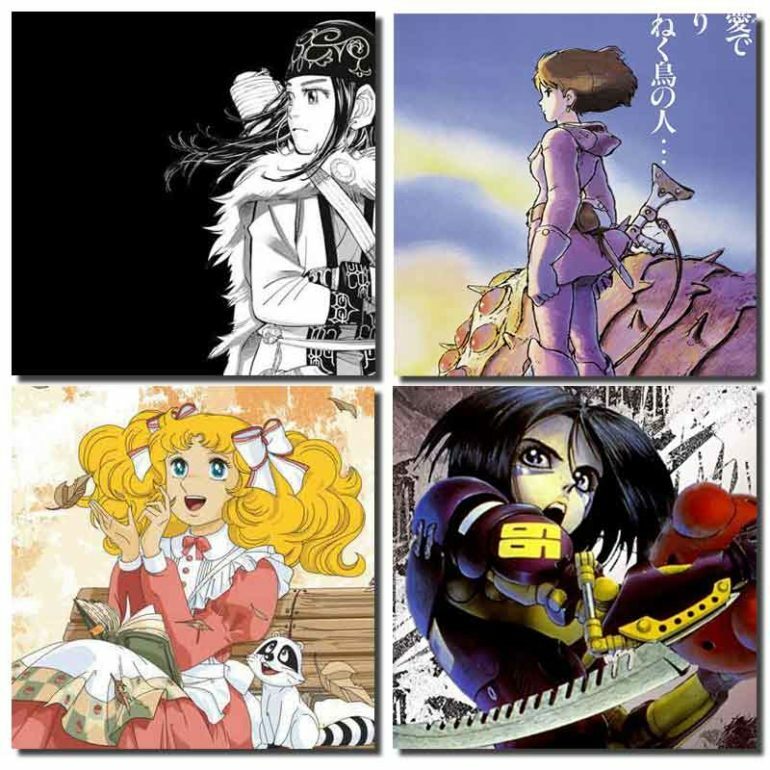 Throughout the manga, you can observe the evolution of Gally in a human being, accompanied by the improvement of her Chi (which allows her to synchronize her movements with those of her opponent to take advantage). 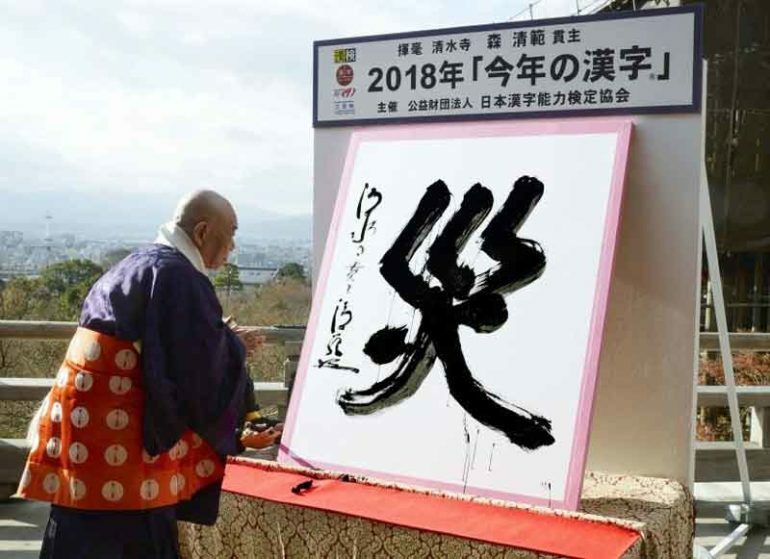 On December 12, the Kanji of the Year 2018 was announced: 災, whose reading is wazawai or sai and means “disaster” or “misfortune”. 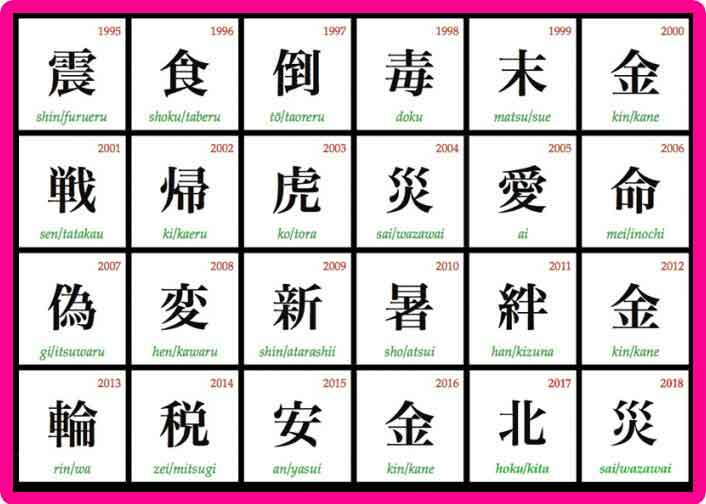 The Kanji Fitness Examination Foundation announces each year in December the “kanji of the year”, chosen through a popular vote to reflect what the last 12 months meant. The citizens voted through the postal mail, on the official website or in ballot boxes to choose a single character, in some cases adding an explanation with the reasons for their selection. Wazawai clearly rose as leader with more than 10% of the 193,214 votes counted. In second place was 平 (hei or taira), a kanji meaning “peaceful” or “flat”, chosen by many for its position in 平 成 (Heisei), the name of which will end when Emperor Akihito abdicates from the throne to end of April 2019. 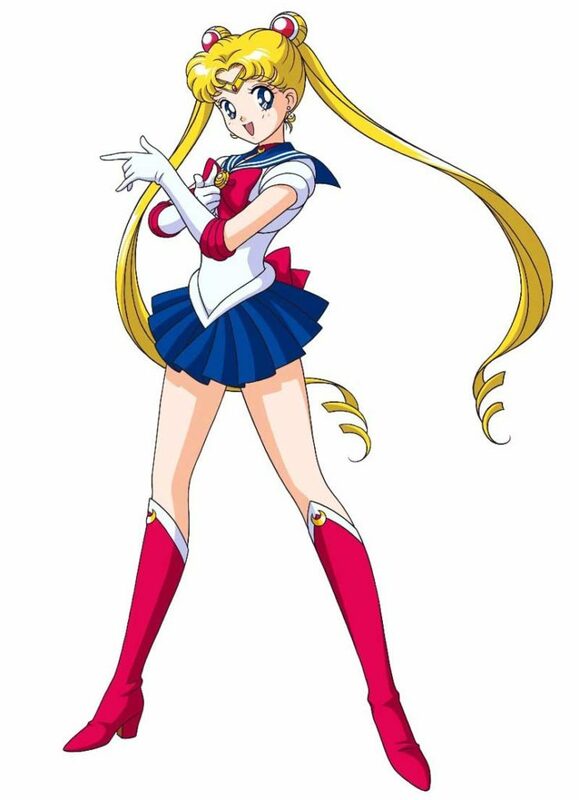 Relying on this “end of an era”, the character of 終 (shū / owaru), whose meaning is “final”, was in third position. Voters looked at events that took place around the world when choosing a winning character. Some of them took into account the eruption of the Fire Volcano of Guatemala in June and the devastating forest fires that affected Greece and the western United States. In second place was 平 (hei), chosen by many people for its presence in the name of the current era, but also for being the first character in the hanja script of Pyeongchang, the city of South Korea in which the Olympic Winter Games, and for appearing in the first name of Los Angeles baseball player Ōtani Shōhei. The third place was for 終 (shū; “final”), which reflects the closure of the Tsukiji fish market, according to one of the comments offered by the voters, in addition to the end of the current imperial era. 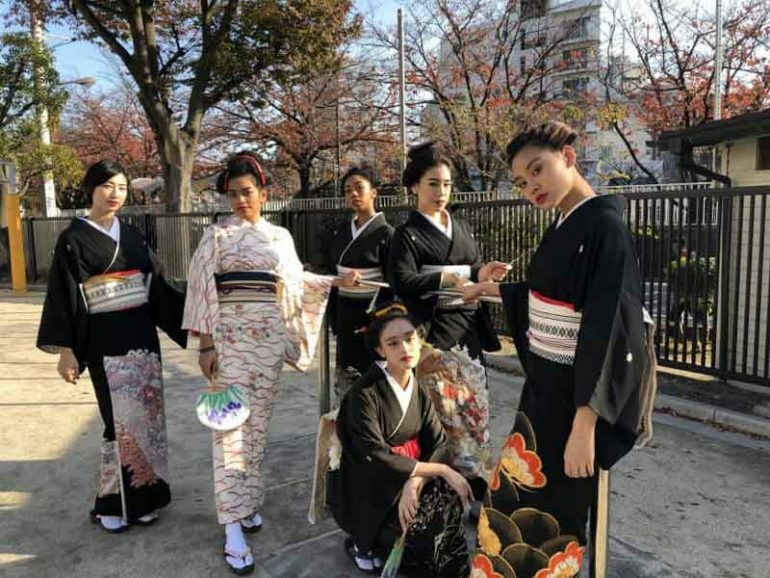 “We felt the need to mix it up: Japanese and hip hop culture” The six dancers were invited to take part in a traditional Bon odori dance festival. A few hours and some rehearsal. Fruits Basket will be completely adapted into a new anime. Natsuki Takaya’s manga will again reach the small screen, but this time it will tell the full story published between 1999 and 2006. Next year FunimationNow will exclusively broadcast the new Fruits Basket anime which, unlike its 2001 predecessor, will completely adapt the manga created by Natsuki Takaya. 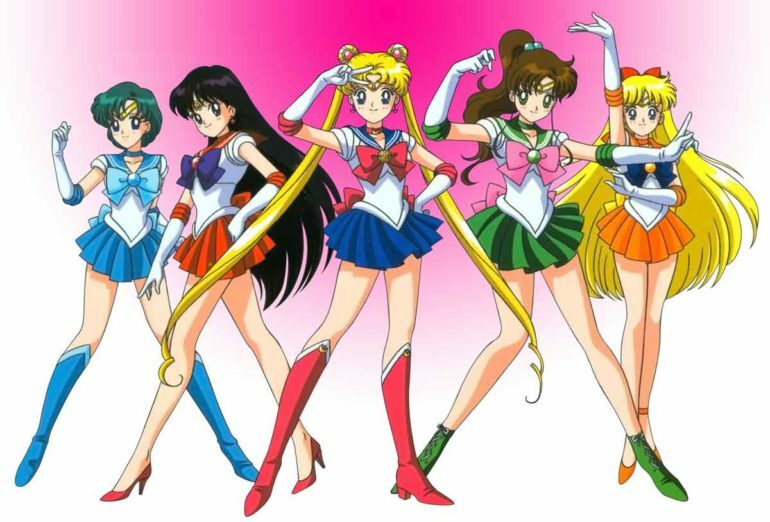 “We’ve heard the question: ‘Will there ever be a new Fruits Basket season that covers the whole manga?’ in conventions and on social networks for years,” Funimation wrote on his blog announcing that now the manga will actually be carried by complete a series thanks to an alliance of FunimationNow and TMS Entertainment. The new Fruits Basket anime will be supervised by the director Yoshihide Ibata, while Taka Kishimoto will be responsible for the composition of the series, Yuu Shindou of the character design and Natsuki Takaya will be the executive producer. Along with the announcement was revealed an image of what will be this new adaptation of the magician, which presents the four main characters of the story including Tohru Honda, who will have the voice of Manaka Iwami. The first anime of Fruits Basket, was produced by Studio Deen in 2001 and lasted 26 episodes that only reached to adapt 6 volumes of magician that was just finished by Takaya in 2006. This, although the story did not explore all the elements of the original material, left the fans waiting for more. 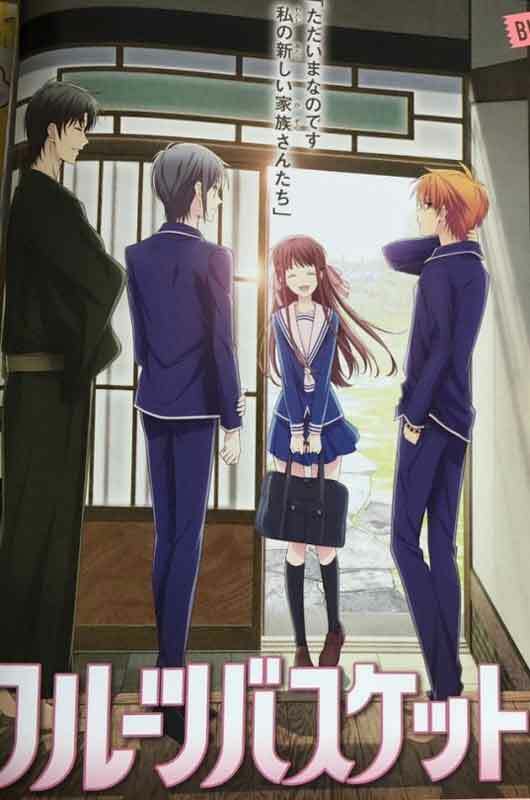 But now the followers of Fruits Basket will have a new opportunity to follow the adventures of Tohru in the adaptation of 2019 that will feature the voices of Nobunaga Shimazaki as Yuki Sohma, Yuuma Uchida as Kyo Sohma and Yuichi Nakamura as Shigure Sohma in addition to the aforementioned Manaka Iwami in the role of Tohru. Wait for this great event and enjoy all the treasures of Fruits Basket. Choose yours and succeed!